Garden Rescue is rated 4.4 out of 5 by 52. Rated 5 out of 5 by chipbutty from Garden Rescue addiction Arcade and action aren't my games but I love this. I have played it over and over again. I keep on coming back to it. This is the best game apart from plants v zombies. You won't be disappointed. Rated 5 out of 5 by Maebird from It'll Beat You... with one hand tied behind its back. This is a fun but frustrating game. The scenery is simple but very beautifully done. The bugs...pesky, determined, sneaky, and mean. The higher the level the more difficult and challenging the bugs. 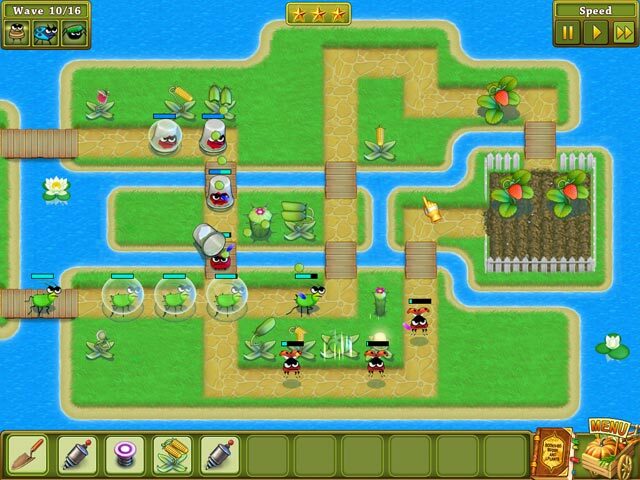 You use various weapons, pea shooter, pumpkin blaster, corn shooter, cactus and various other plants to help you win. All of these can be upgraded to beat the dickens out of the bugs only if you use them strategically. You can play at 3 levels, Private, Sergeant, and General. Just when I think I have the right strategy, those sneaky bugs find a way to get through my defenses. I play at the Private level. One daughter plays at the Sergeant level and the other daughter plays at the Private level also. No one plays at the General level because...well, we're just plain scared. There are no words to say as to how much we enjoy trying to beat this game. This is great family fun. I recommend this game! Rated 5 out of 5 by SandiBeach6 from Best Action Arcade Game This is one of Big Fish's best Arcade games! I cant wait until they make another. I have the Christmas version also and it is even better! You will love it. Great graphics, challenge and fun factor! Please make another like this!! Rated 5 out of 5 by dicklee from Enjoyable and frustrating Enjoy!! Great game I have both.I wish they would make another one I have played all levels on both games. Totality recommend it. Rated 5 out of 5 by BSquad from Good Game! Good game after all.. Tower defense game was very popular recently but in this game that evolved more attractived. I like it. But it seems that if we can click on the strawberry plant too than just have to click the coin only will make user more comfort too get coins. when game level get harder user must play faster and for me it made me get slower of get faster to get the coins. Rated 5 out of 5 by TiddK from Like Plants vs Zombies, only different! 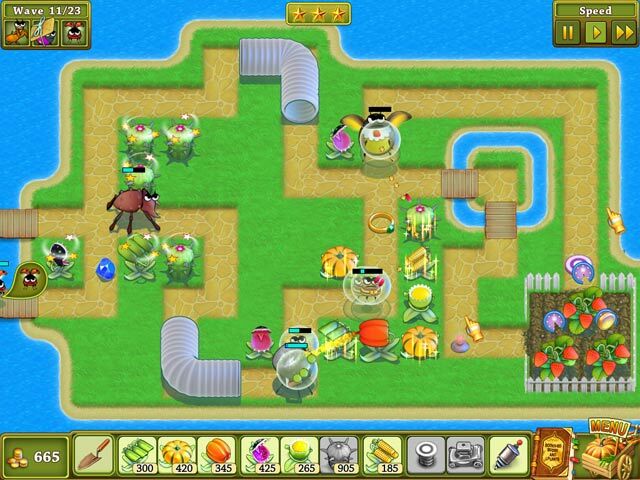 This game is so like Plants vs Zombies it's hard to tell which came first. But it's such a good strategy game, one of my favourites. I'll just say what ways it's like PvZ and what ways it's not. Like: 1. You need to fight off invaders to your garden using plants as weapons (e.g. 'pea shooters'). 2. You have to pay for your weapons as you go along (in this case using cash from your strawberries). 3. You get more weapons the more levels you complete. 4. Some weapons attack all enemies, others are specific to types of enemy. 5. The further you go, the harder it gets. 6. There's no time limit, and strategy is everything. Unlike: 1. The enemies (in this case bugs) arrive in a set sequence for each level, one type at a time. 2. The path through the garden varies each level, making it more important exactly where you place your weapons. 3. There are 3 levels of difficulty (Private, Sergeant, General) and the later levels are HARD! 4. There are no additional mini-games or puzzles, only the main game. The graphics are cute, though not as good as PvZ. However, the game is every bit as challenging, perhaps more so in the last levels of Sergeant, and at least half of General levels. In case you fail a level several times and get bored repeating it to try and complete it, you can move through at double speed until you reach the part where you get stuck. Unlike PvZ, you score between 1 and 3 stars each level depending how well you do. It's a great challenge. I can recommend this for hours of fun! Rated 5 out of 5 by garfield747 from Wonderful Game Cute and adorable on the surface, strategically deep under the hood. The graphics are clean and colorful and the sounds in the garden charming. I turned off the music after awhile as it became repetitive. I've completed the first 2 difficulty levels with 3 stars and can tell you this game requires thoughtful planning. Not too hard to get through a level.... but to get 3 stars??? Several times I've watched a Boss drop in the strawberry patch before he starts eating. Or other bugs burn to a crisp as they reach a strawberry bush after passing by a hot pepper! Whew, whatta relief. Great job by the Devs. They put a lot of thought into this and the small nuances show it. It really is a perfectly balanced game. You just have to learn how to get all of your plants to work together :) Ok, I'm off to conquer the General level. Gunna bring my favorite commanders, Mr. Cactus, Sundew and the oh so sweeeeet Hot Pepper. Love em!!! Rated 5 out of 5 by Dbzmaster1213 from An amazing Tower defense Game! This game is very fun! It immediately captured my attention and I couldn't stop playing it. It has 3 levels of challenge, one that's fairly easy, another that is challenging, and the third that it CRAZY hard! But they are all fun. 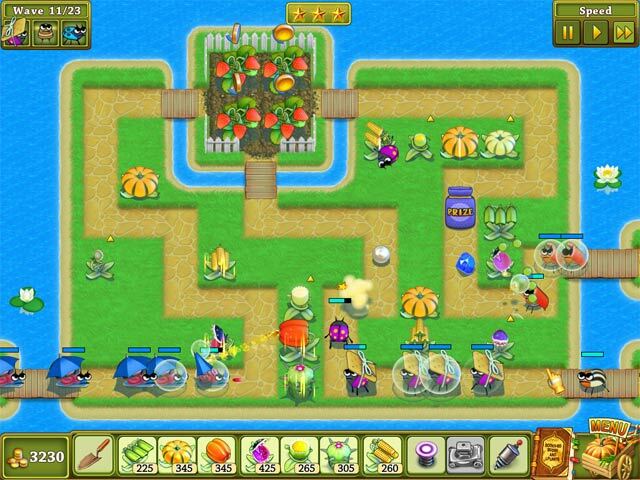 The game lets you choose from a wide variety of plants to defend your garden and gives you special items to use as well! So if you like tower defense and are looking for something fun to do then get this game and have hours of fun! PS - The christmas edition sequel is even funner with new levels, and new special items! 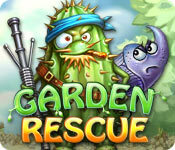 Help the garden-inhabiting plants defend against hordes of insects trying to demolish the garden!